Tis the season. 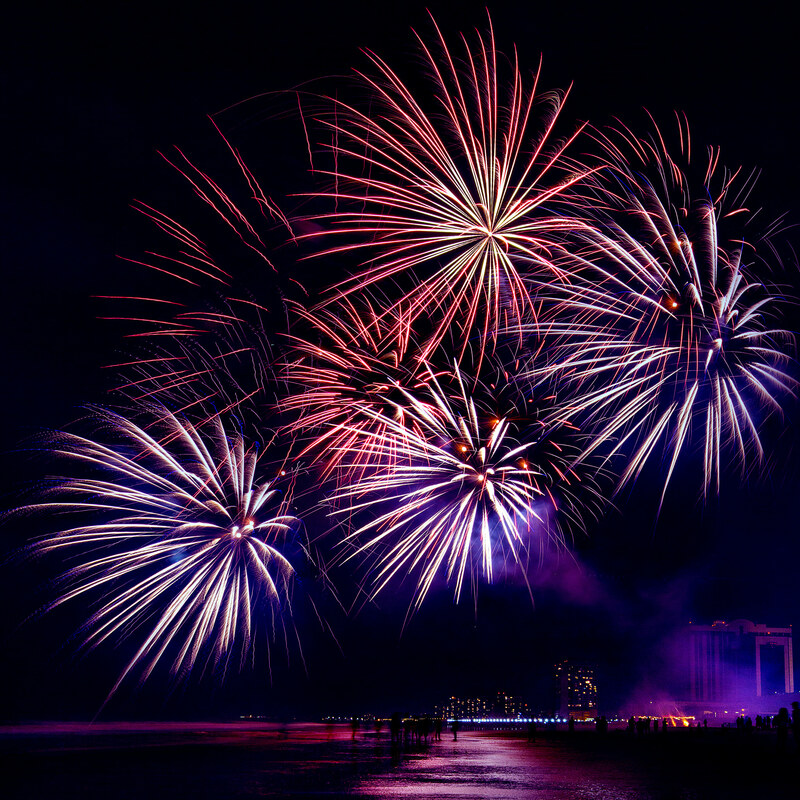 Summers are often filled with relaxing, beach fronts, vacations, and of course fireworks. 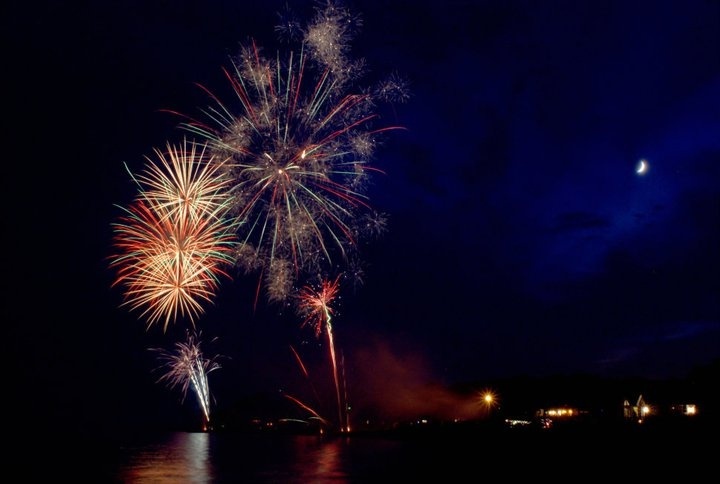 With Independence Day fast approaching, we’re getting calls and emails inquiring about how to photograph those annual fireworks displays properly. The conditions, from a photography standpoint, are always a little bit of a challenge – dark environments, fast moving objects, and plenty of additional variables. When done incorrectly, you’re left with blurry, grainy, and uninteresting photos. But when done correctly, you can capture the spectacular moments in all their glory. We’ve talked about putting together a piece on fireworks for a few years here at Lensrentals.com, but never found the time to do one, since by the time we capture the photos we need for the piece, the Fourth of July has already come and gone. So with some planning this year, we were able to get the photos we need, and put together a piece to better help you capture those pictures you have such a limited time capturing. 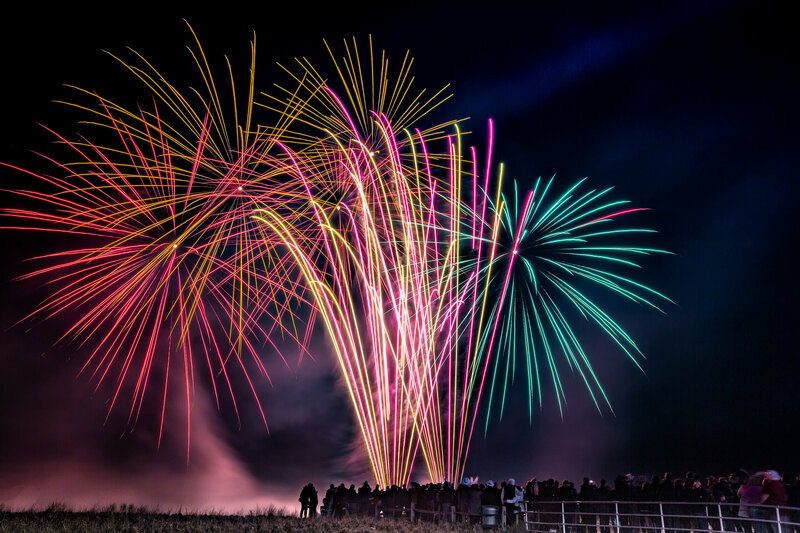 Whether you’re shooting off your own fireworks or getting together to enjoy a professional display, there are a few things you’ll need to capture great shots of fireworks. Besides a camera, the most important piece of gear you’ll need is a sturdy tripod. Fireworks are traditionally shot off after dark, and if you’re not set up on a stable tripod, those colorful trails of fire are just going to look like a mess of light in front of a blurry background. Which brings me to the second necessity, context. Arrive early, find your spot before the crowds get set up and make sure you have some good scenery to give some context to your photo. Fireworks can look great against a dark sky alone, but context will allow them that extra something that makes a great photo. So whether it’s city lights, a ball field, a body of water, or whatever, it’s something to consider before you even start to think about exposing your shots correctly, and can make the difference between a cool shot and an amazing one. When it comes to lenses, wide angle lens is typically used. 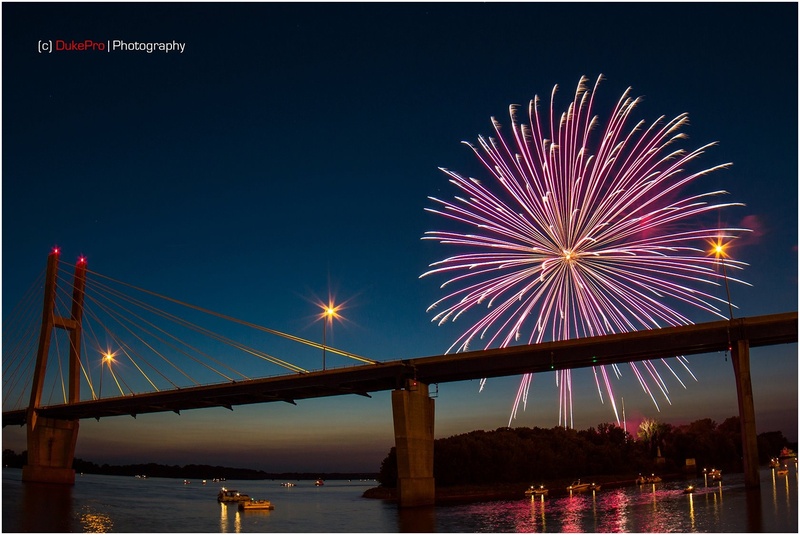 While you can get great fireworks shots with any lens, a wide angle lens will help ensure that you get the entire burst in frame with your background. A remote trigger is pretty useful too. When setting up longer exposures, you’ll want to minimize touching the camera and lens itself which can result in camera shake and significantly reduce the sharpness of photos. In addition to these essentials, some photographers might opt to use Neutral Density filters. These are like sunglasses for your lens and can make longer exposures possible enabling the possibility of capturing multiple bursts in a single frame. Now that we’ve got our essential gear ready to go, it’s time to set exposure. This can be a little tricky and another reason to arrive and set up early. There is nothing more frustrating than setting all up and shooting remotely only to find that none of your shots are in focus. With that in mind, manual focus will be your best friend. It’s hard to focus in the dark and just as hard for your camera’s autofocus to lock on. If you’re not comfortable focusing manually, just point at something in the distance (like a point of light) and once locked on, just switch off AF; otherwise, live view magnification (MF assist) can be very useful. You’ll want to shoot in RAW if possible; it just makes minor exposure mistakes easier to fix later. Finally, it’s a little trial and error. Another reason setting up early is your best bet. During those first few bursts, you should be reviewing and making adjustments to compensate for blown highlights or conversely, dark setting (context). The benefit of shooting fireworks displays is that they usually end with an epic finale that you can just practice shoot and get your settings right until then. I’d recommend starting somewhere between f/8 and f/11. The smaller the aperture, the thinner those light trails will appear, and the darker the rest of your photo will look. It’s a balancing act. You’ll want to keep your ISO values low (like 100 or 200) to reduce the introduction of noise into your photos. It’s good to consider that a bright burst may add a stop or two of light to your frame, so shooting in manual is a must. Once you’ve got it dialed in, just sit back and enjoy the show. Just press your remote shutter release and let the camera do the work. A few things other things to consider as well: Many cameras feature a Long Exposure Noise Reduction function. While this can be useful in these situations, it doubles the length of time it takes to take one photo. If you’re exposing for 15 seconds, it’ll take thirty before you can begin another shot. That’s valuable time wasted when you consider most fireworks displays don’t last very long. My advice would be to turn this function off and just fix it in post. If you’re opting for the Bulb Mode route, you should know, it’s pretty unforgiving. Given that a single exposure could be a minute and a half or more, you probably won’t have time to dial in exposure. It’s a method I’d only really recommend for experienced shooters. I only really mention it at all because it can result in some truly spectacular shots. So, if you’re committed, an ND filter will make things easier, also a black piece of cardboard to cover the lens between bursts. The cardboard will help give the sensor time to cool down a little and reduce noise. All being said, there’s a wealth of information out there on the web and lots of photographers swearing by their own methods. The best advice I can give is to pick a plan and stick with it. You’ll get more winners that way, and you can critique them later and decide what you’d do differently next time. These are just a few pointers to help make the holiday more fun for all you shutterbugs. Have any example photos of your firework display? Be sure to share them as well as any additional tips in the comments below. Have a safe Fourth of July everyone! I’m Lynn. Prior to becoming a Photo Technician at Lensrentals.com, I owned a wedding photography business and newborn studio. I’ve also worked as a professional studio portrait photographer and lifestyle photographer. I currently enjoy freelancing and taking photos of wildlife, landscapes, and street scenes for my personal enjoyment. I feel very fortunate to get to experiment with various lighting techniques and an assortment of camera systems and accessories to make my visions come to life. 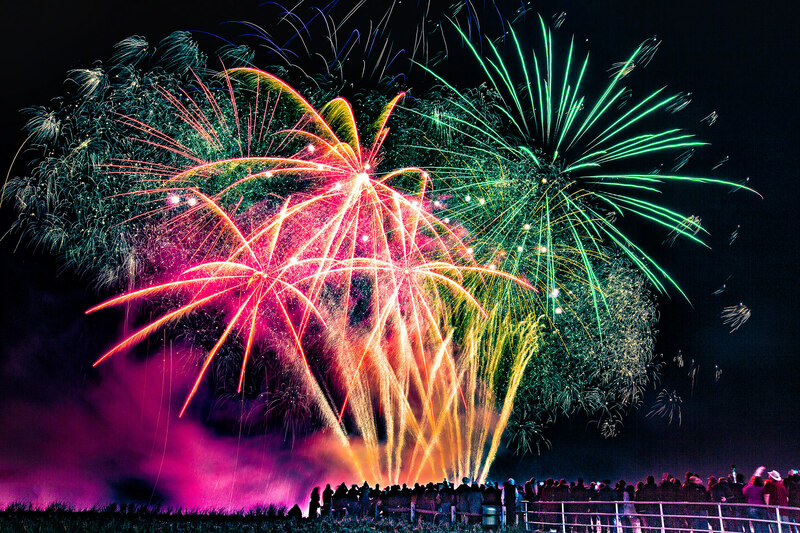 Another tip – firework displays are normally set to ‘face’ a certain direction so the spread is visible to the crowd. This means you need to position yourself where the main crowd will be, not off to the side. Also, fireworks make a lot of smoke, so make sure you’re upwind. This might mean going behind the display to shoot it from the back side. 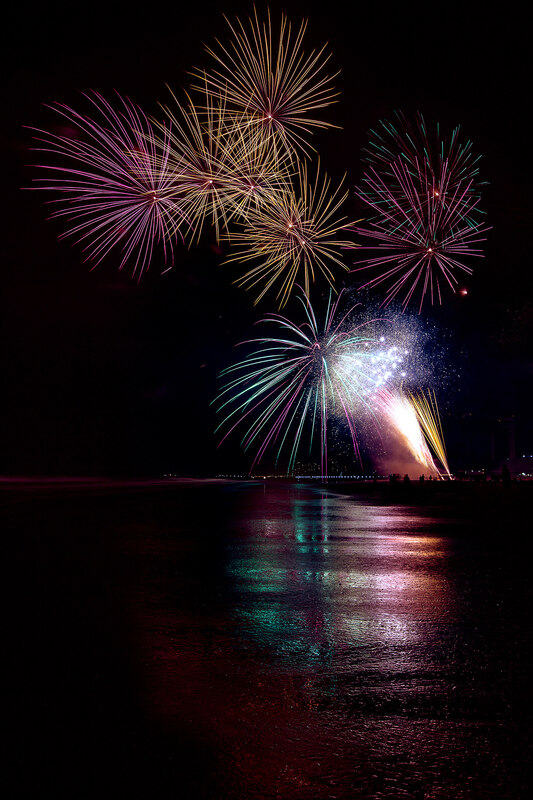 Finally, get yourself an Olympus OMD camera to take advantage of the livebulb / livetime / composite functions – they make firework shots a doddle. https://uploads.disquscdn.com/images/da9a37125b1effbc33d06fbf19ab029776f109a64b89c69231ae8c52c859037b.jpg Not the best camera or lens but the timing and light was perfect because they shot these off a little early. The moon adds a nice touch too. These were not professional fireworks. Not the best camera or lens but the timing and light was perfect because they shot these off a little early. The moon adds a nice touch too. Great tips! I’ve learned to shoot https://uploads.disquscdn.com/images/566ca653a5c1b867a83625f288199355709136aa1de19d24689a32ed2cebbfce.jpg fireworks at Disney parks! I always go bulb mode because I like to control the length of my exposures! Here’s one of my shots in the Magic Kingdom! Great tips! I’ve learned to shoot fireworks at Disney parks! I always go bulb mode because I like to control the length of my exposures! 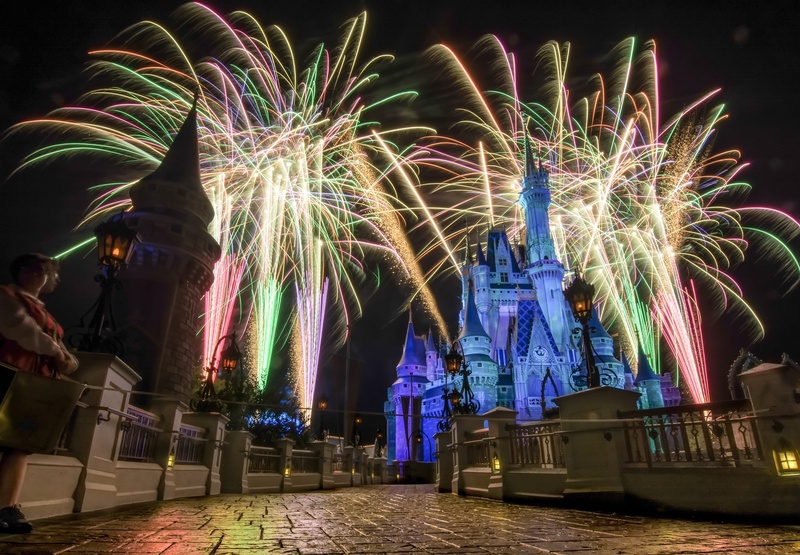 Here’s one of my shots in the Magic Kingdom! I taken photographs of fireworks and I used a tripod to mount my camera. However, my tripod was not on a stable platform; I was on a pontoon boat on a lake with the wind and the waves. I used the self timer to fire the shutter in anticipation. I set my shutter speed to 30 seconds and placed my cap in front of the lens between bursts. When I thought I got enough, I’d cancel the exposure. I was shooting Kodak Ultra 400 film in a Canon A-1 with an 80-205 f4,5 lens, Autofocus was not an option. Sunsets, flowers, HDR, clouds, railway photos, Instacrap, jumping photos, hearts made with fingers, selfies…. oh yeah…. 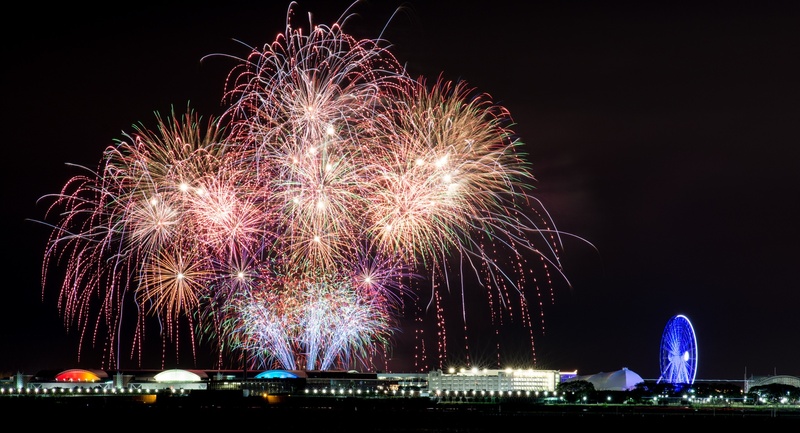 and fireworks….. the death of photography. Classic shots with foreground, some context background/skyline etc. are indeed often best shot with a FL that gets it all in properly depending on you distance and perspective, and from a good tripod. I’ve shot with a 400mm and even longer from a hillside or mountainside or a superwide or fisheye from a beach when the fireworks have been on a barge in the bay in front of me. However, I’ve also shot handheld, lying on the deck of a boat underneath the fireworks with a handheld 400mm lens on K64 (these have been some of my favourites) and a couple of weeks ago I shot about 200 pictures with a 17mm (34mm equiv.) m43 lens and IBIS handheld on a beach with 1 to 4 sec exposures with every shot sharp. The main rule is that there are no rules. Very good tips. Here’s a shot taken last year of Navy Pier’s weekly fireworks. This shot was taken on bulb mode with a remote release. Thanks for sharing my work. Shooting fireworks is very interesting because you never get the same images. And I highly recommend wide lenses. Here is another shot that I took on July 4th, 5 years ago. I have a personal tip. Sometimes wide-angle isn’t the way to go. I recently shot some fireworks with a group of people from a hill overlooking two towns. We had good views of the bridge and building but because of the distance from the hill we had to shoot between 50-70mm to fill the farme.